Wheels seem to come in all sorts of sizes. Some cars have noticeably wider rims than others, sacrificing tire rubber in favor of chrome. Wider rims often look more appealing, giving a car a sportier appearance and expressing the individual preferences of the driver. But, what’s the difference? Is it all about the appearance, or does wheel size affect the ride of your car? Perhaps you’ve been thinking of upsizing your wheels—or maybe downsizing them—and are curious as to what kind of benefits different wheel sizes can offer. To understand the difference between wheel sizes, peruse the following information. Generally, on dry, well-maintained roads, wider wheels have better handling. This has a lot to do with the tire’s side wall, or the width of the tire between the edge of the wheel and the edge where the tire touches the pavement. 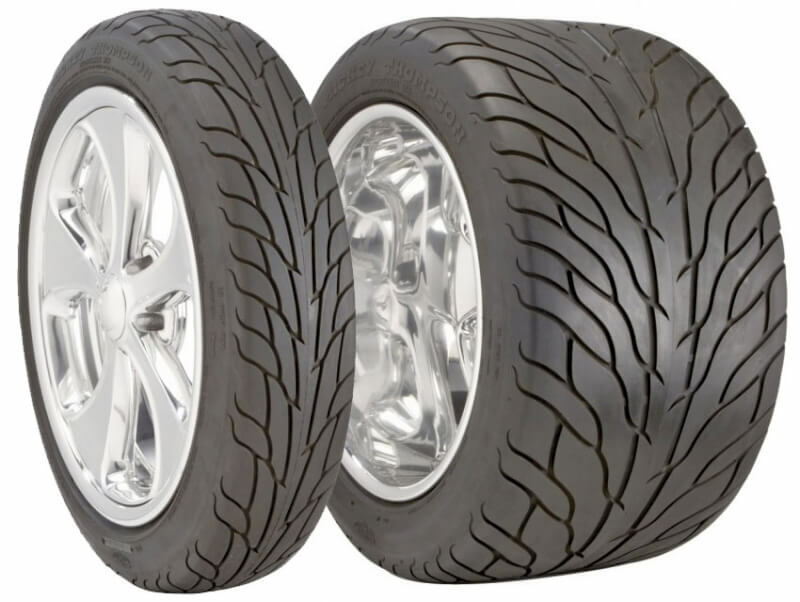 To make up for the larger wheel, the height of the tire’s side wall is decreased, and the shorter side wall reduces the overall roll and sway of the tire. So, a vehicle with wider wheels has more stability and can take turns a bit better than cars with smaller wheels. Unfortunately, wider wheels don’t do as well in inclement weather. Wet or snowy roads are a bit more of a hazard for wider wheels with short side wall tires. So, if you live in an area that rains or snows often and still want to upsize your wheels, it’s best not to increase your wheel width by too much. Try to stay as close to the original wheel size as possible. With wider wheels, the shorter side walls of the tire make potholes and other road obstacles more of a challenge. Your ride won’t be as smooth, as you’ll feel each road defect more intensely with the lack of suspension. If you want to upsize your wheels considerably, stay away from poorly maintained roads and construction areas. One hard roll over a pothole or bump could damage your wheels, so you’ll need to be more cautious with wider wheels. While the shorter side wall on a tire allows for better handling, it can contribute to more road noise in your car. The shorter the side wall, the more you’re going to hear the roll of tires on the asphalt. At high speeds, this noise can be frustrating for some, so you may want to invest in a decent sound system. The wider the rim, the heavier the wheel. This extra weight can make it more difficult to accelerate, resulting in slower acceleration speeds. If you enjoy going from 0 to 60 quickly, don’t upsize your wheels too much. But if you have a car that you think can handle the extra weight just fine, go a little wider. The additional weight of wider rims can also affect your car’s fuel economy. Your gas mileage will decrease with every increase in rim width. If you’re worried about your monthly gas budget, keep your wheels smaller and lighter. When the size of a wheel is changed, it’s important to remember that the tire should also be adjusted to maintain the same combined diameter of the wheel and tire. If the overall diameter is changed, it could result in inaccurate speedometer and odometer readings. Both the wheel and the tire should also fit comfortably within the fenders to avoid unnecessary damage. If you’re thinking of changing the width of your wheels, turn to a specialist in wheels, such as Extreme Wheels. To keep the correct combined diameter, we can help you determine which tires best pair with any of our rims. And if you have any questions about wheels and what’s best for your car, we’ll do our best to give you the answers you’re looking for.